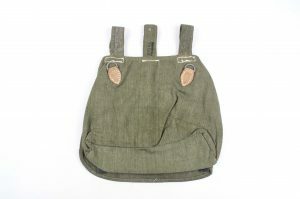 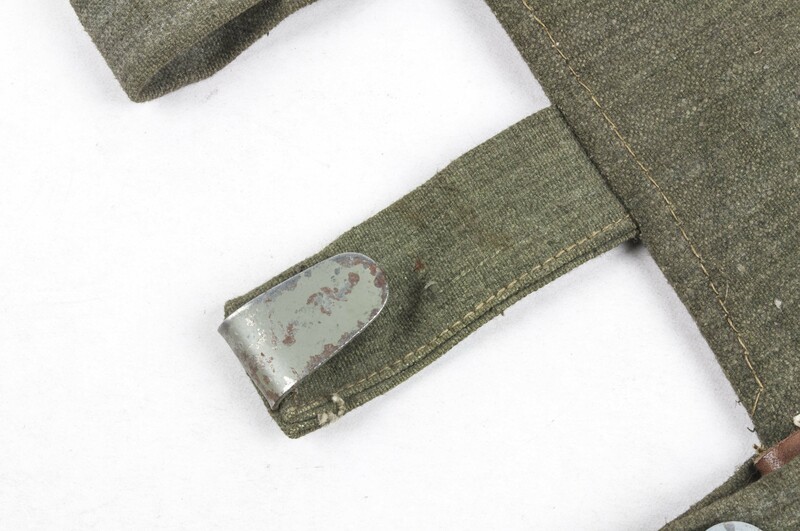 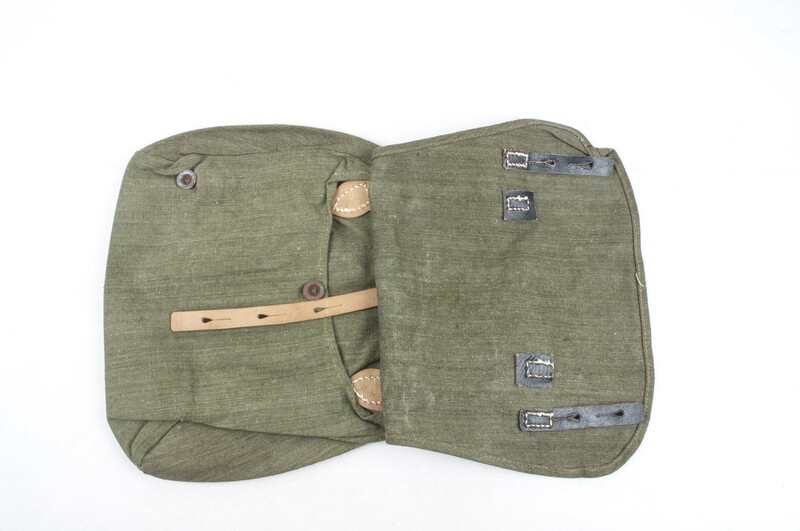 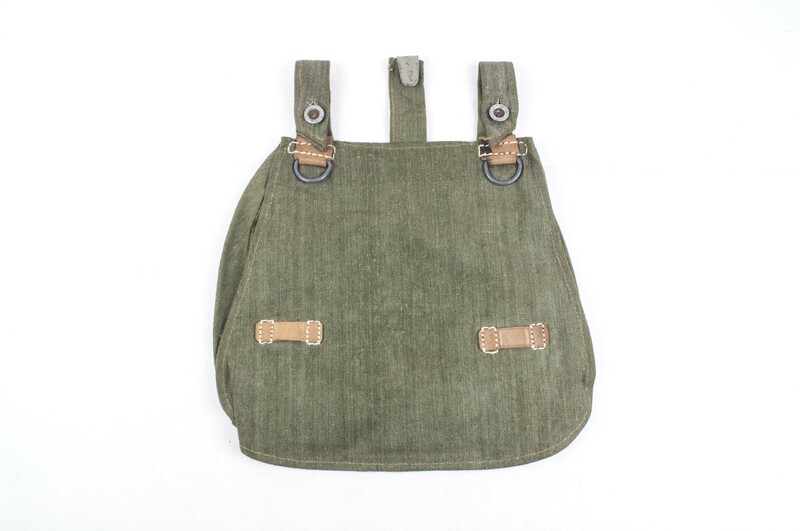 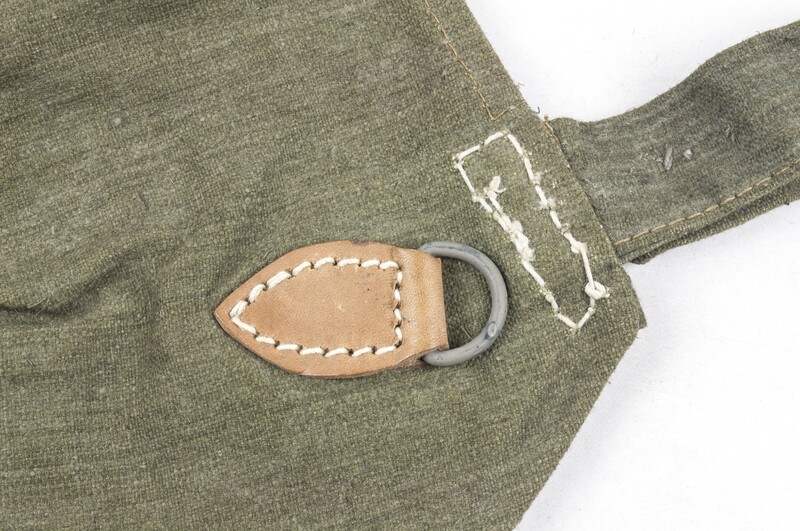 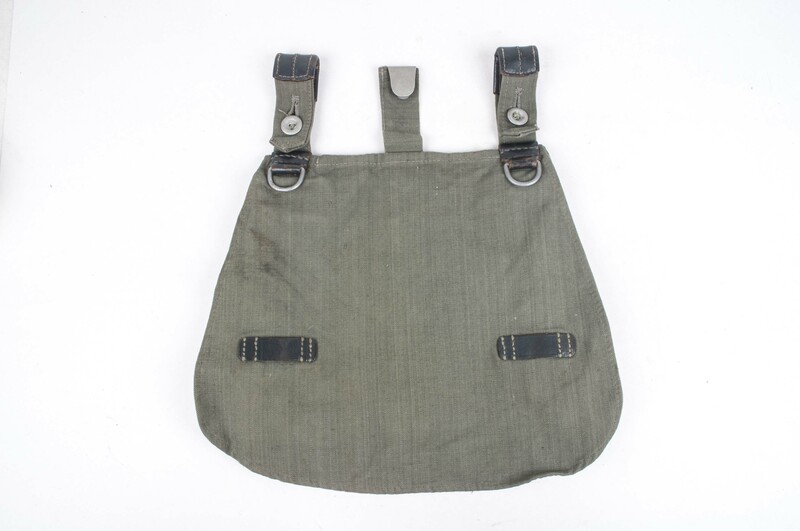 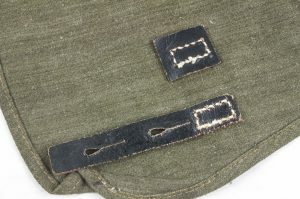 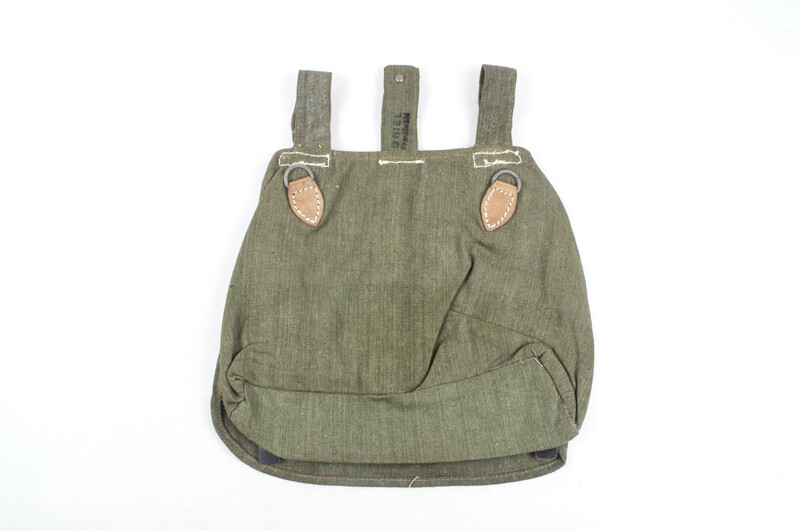 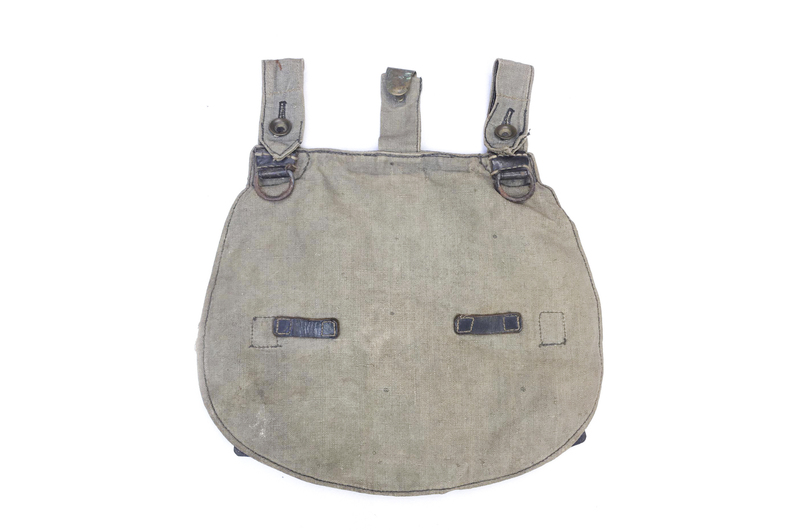 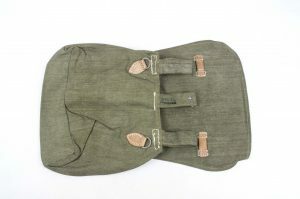 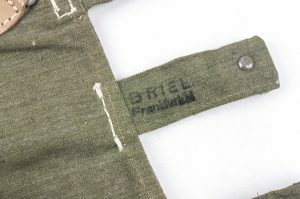 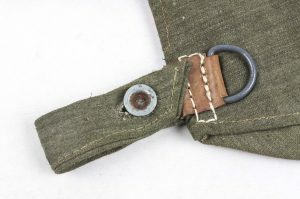 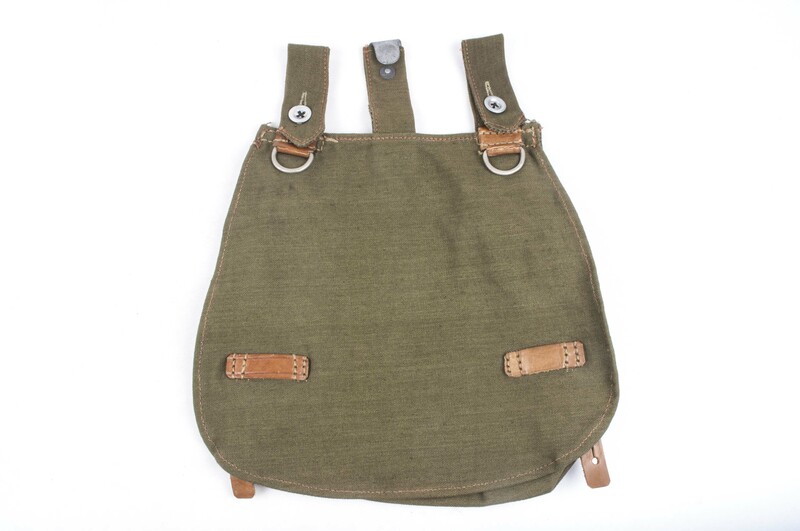 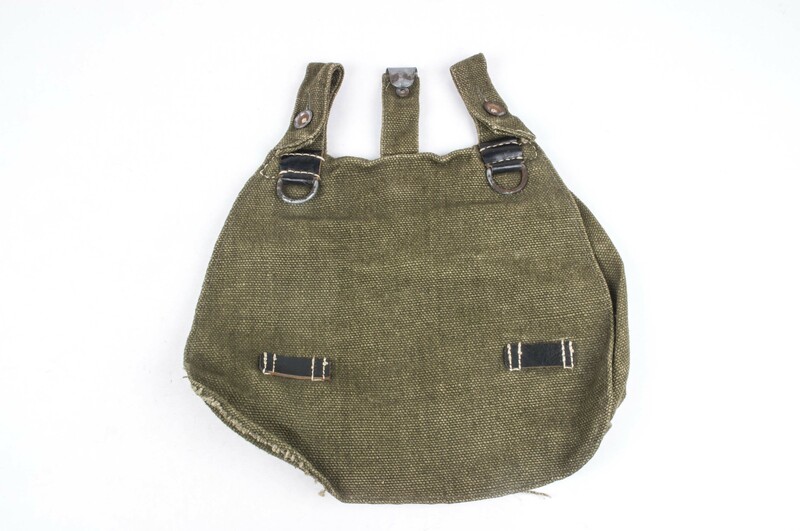 Home / Militaria Reference / Field equipment / Breadbags / M31 breadbag – Briel Frankfurt A. M.
M31 breadbag – Briel Frankfurt A. M.
Hardware: Blue gray painted steel D-rings. 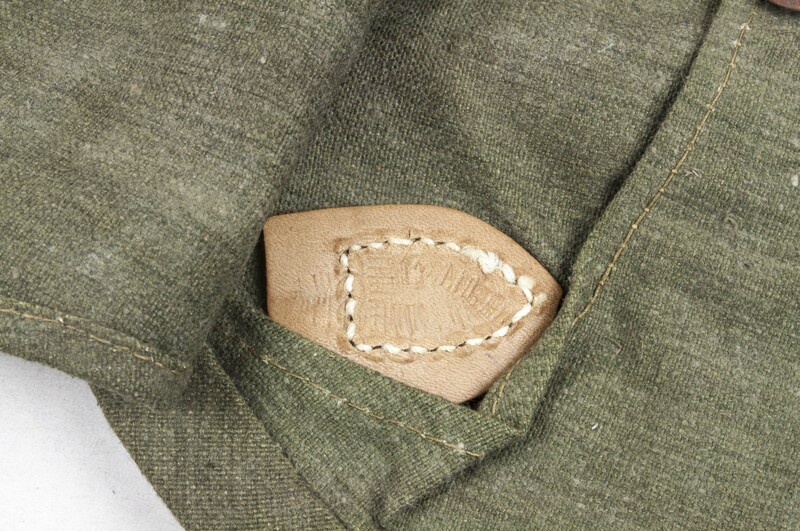 Notes: This breadbag is notable for the seemingly untanned leather. 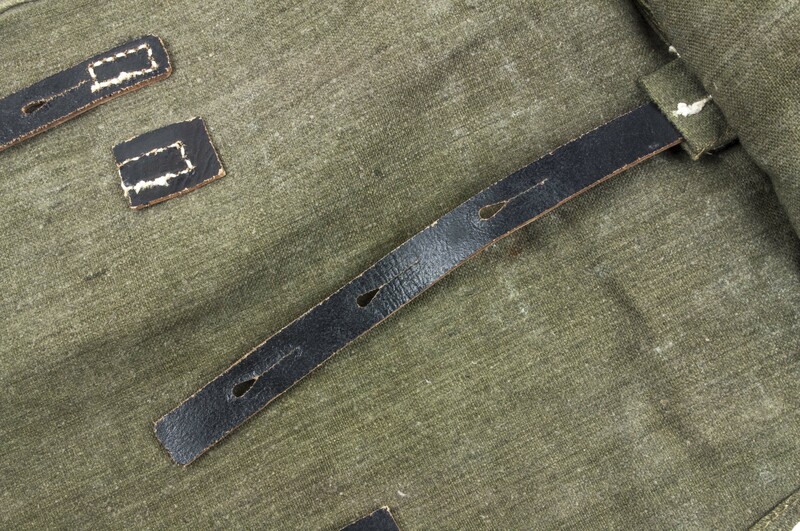 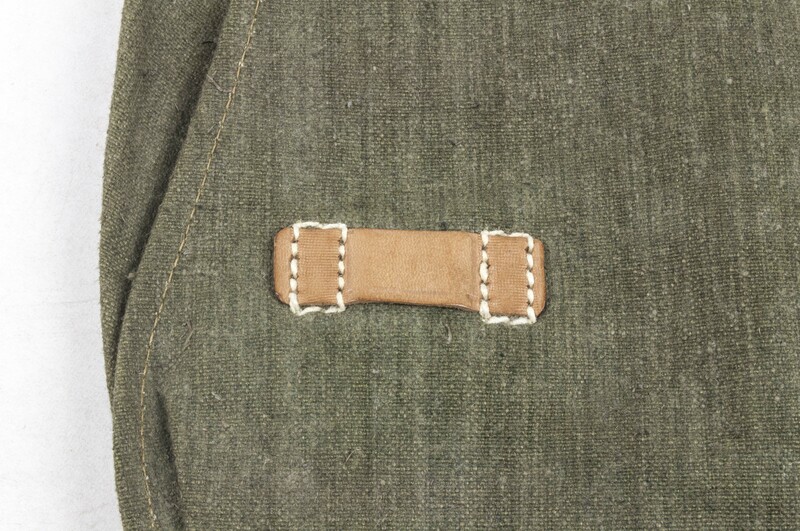 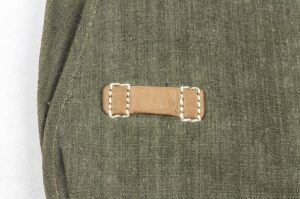 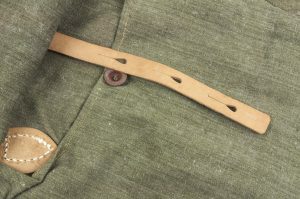 When one inspects the leather parts one can observe that the leather is simply sewn on inside out as the backside of all the leather parts are tanned black.